Noami Grevemberg is a full-time camper van dweller, outdoor enthusiast, and environmental advocate. She shares 80 square feet with her partner Dustin, with whom she runs the startup sustainability consulting business Cacti and Coconuts. 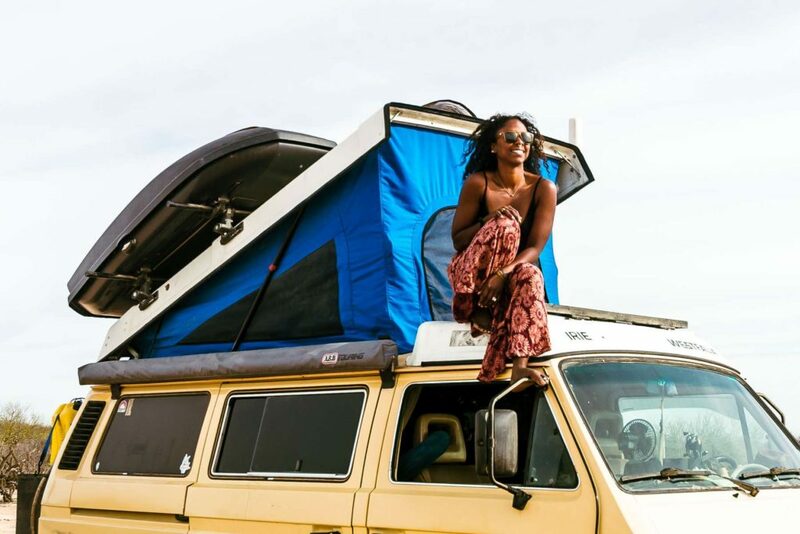 Through her Instagram, Irie to Aurora, Noami shares her truths of life on the road, becoming what she calls an “accidental minimalist,” and what it’s like to live plastic-free and zero-waste in a van. In this episode, Noami tells the story of growing up in a small village in Trinidad, and why she came to America at the age of 17. She shares what happened next—how she pursued and then became disillusioned with the American Dream, and the conversation that ultimately lead her and her partner to sell their belongings and move into a camper van together. She talks about what she's learned about herself on the road, why it's been healing, as well as her journey toward living a plastic-free and zero-waste lifestyle. Noami is so honest, thoughtful, and kind, and I hope you love this conversation as much as I did!